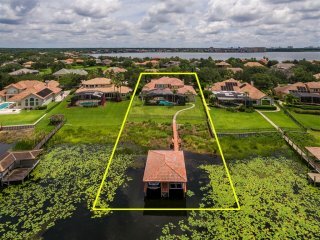 LAKEFRONT ! 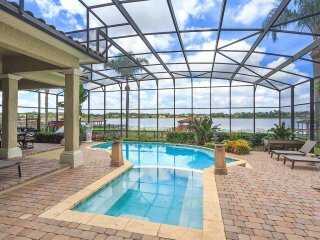 AMAZING VIEWS ! 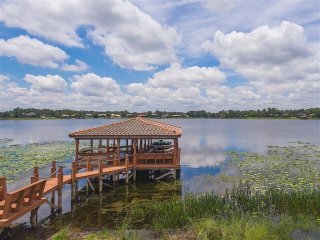 Nestled on private lot on the sun-drenched shores of Big Sand Lake. 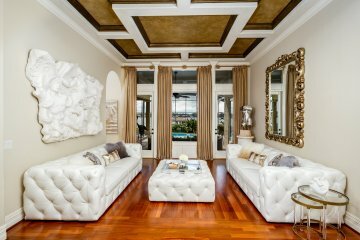 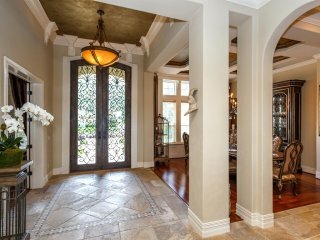 Magnificent 10’ bronze doors, transport guests into stunning interior with grand water vistas from impressive foyer! 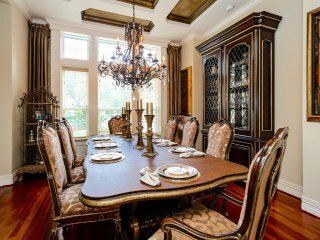 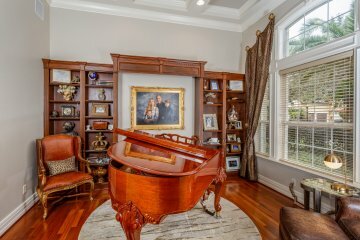 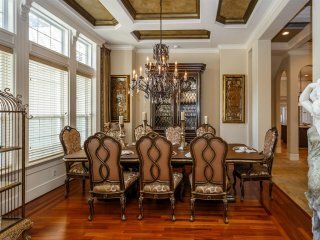 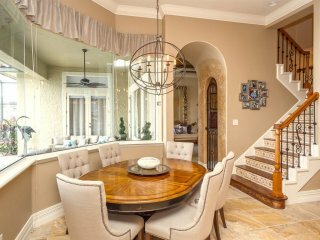 Elegant formal living and dining room and stunning home office! 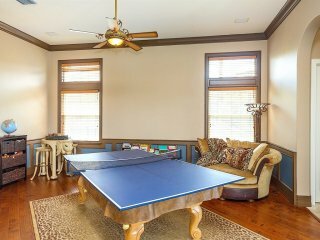 This splendid home offers 5 ENSUITE bedrooms.-2 on 1st Floor! 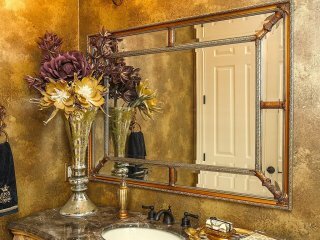 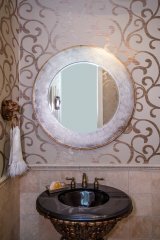 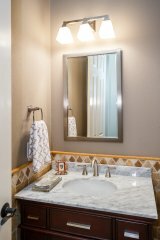 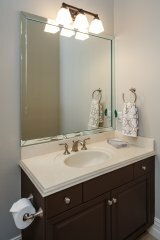 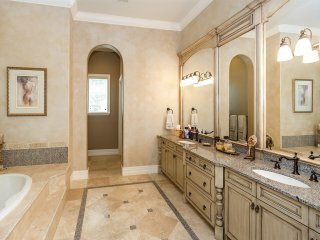 Lakefront first-floor Master suite boasts a lovely sitting area & soothing lake views with refined master bath featuring Venetian Plaster; spacious walk-in shower; luxurious jetted tub; dual vanities & glamorous makeup area.Huge CLOSET SPACE! 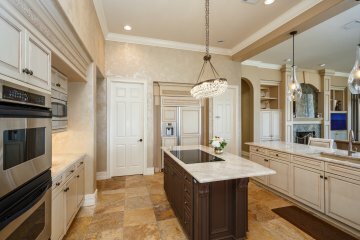 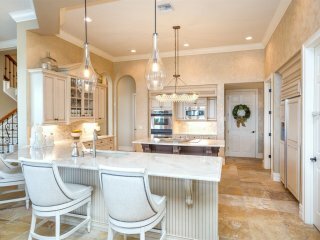 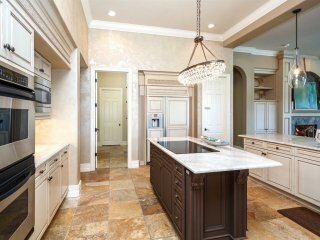 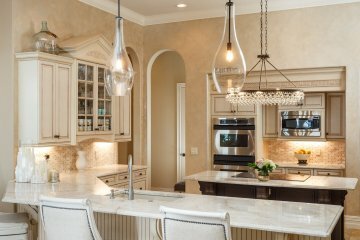 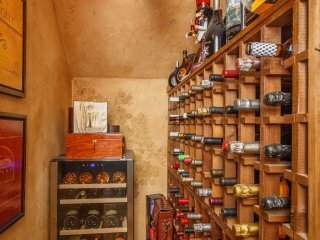 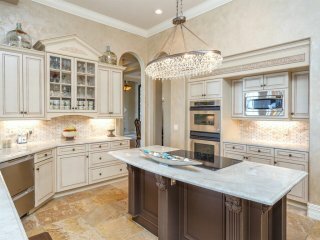 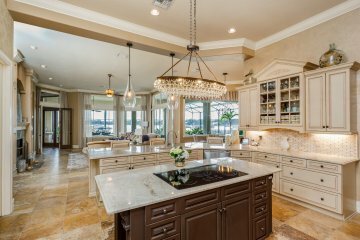 Fabulous kitchen offers creamy off-white cabinets topped with exquisite quartzite, wine storage, butler’s pantry, quality appliances-Enjoy lake views while you are cooking! 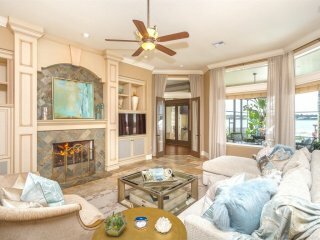 Family Room features custom cabinetry, gas fireplace and expansive lake views through glass walls! 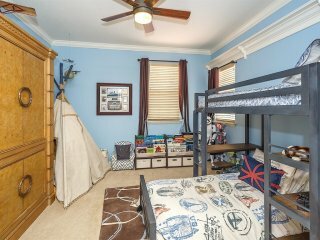 2nd level offers 3 ENSUITE bedrooms, dramatic home theatre, study area with 2 desks and storage, bonus room with endless possibilities! 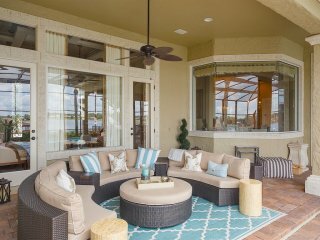 Outdoors, a generous screened oasis beckons you to savor its amenities-Swim in a sparkling salt water pool/luxuriate in a warm hydro massage spa. 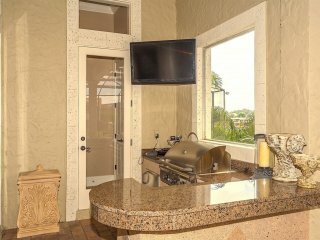 Alfresco dinners served from your Summer Kitchen! 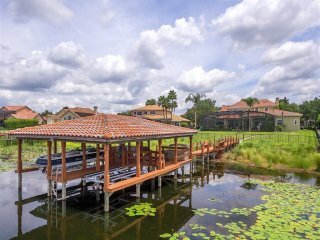 You'll love the DOUBLE boat house and dock ! 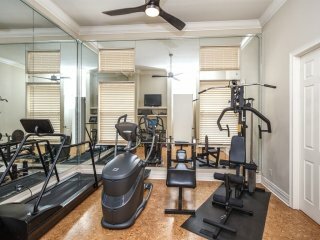 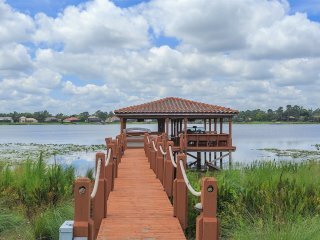 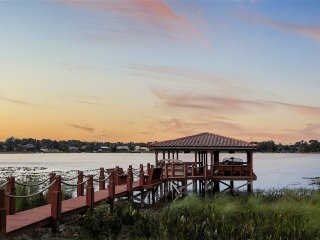 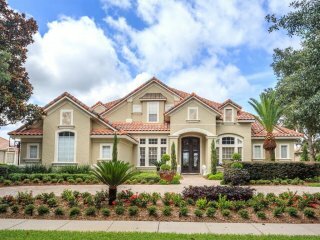 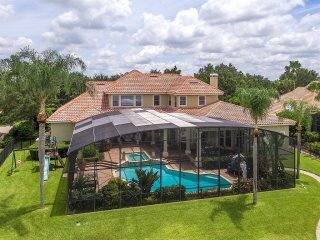 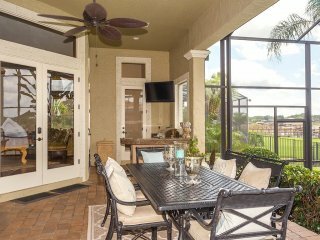 Looking for a waterfront lifestyle, world class shopping, fine dining, easy access to Orlando's attractions without traversing highways, 20 minutes to Airport - then this is your home! 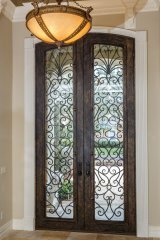 Maximum privacy Guard gated 24 hours, 7 days a week! 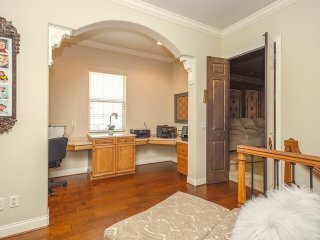 See VIRTUAL TOUR - Call now for private showing.